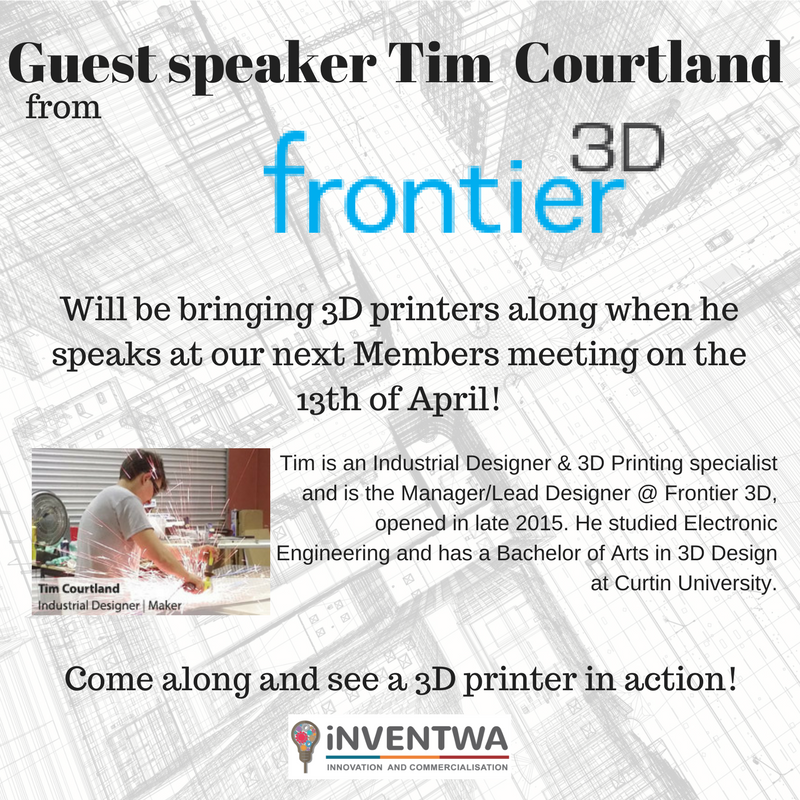 Tim is an industrial designer and 3D Printing specialist and is the Manager/Lead designer at Frontier 3D, opened in late 2015. He studied Electronic Engineering, before a short career in IT lead onto completing a Bachelor Arts in 3D Design at Curtin University. He is currently involved in product design, rapid prototyping & production design/props for Film/Advertising projects and utilises Additive Manufacturing processes, such as 3D Printing, to build parts quickly and effectively. Frontier 3D supports Education & Schools by supply 3D Printers as well as offering support to Teachers as it is becoming such an exciting field with such a range of industries. From Medical devices to Speedboat Racing.